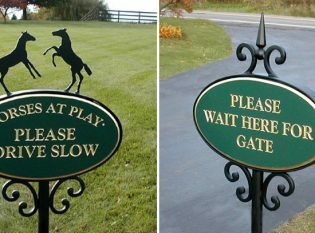 Material and Finish: Black powder-coated steel. 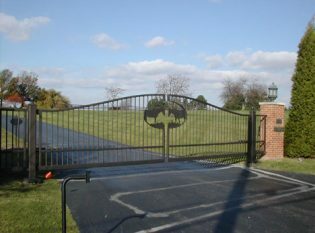 Description: Custom steel driveway gate. 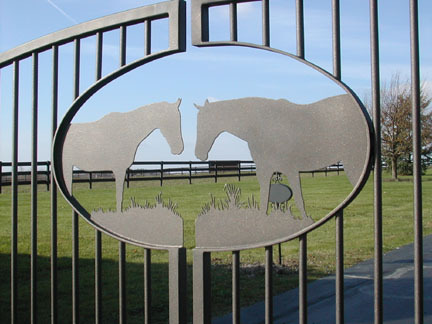 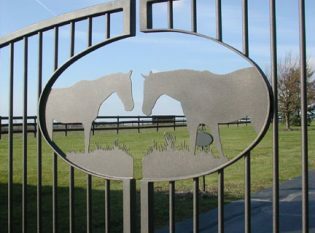 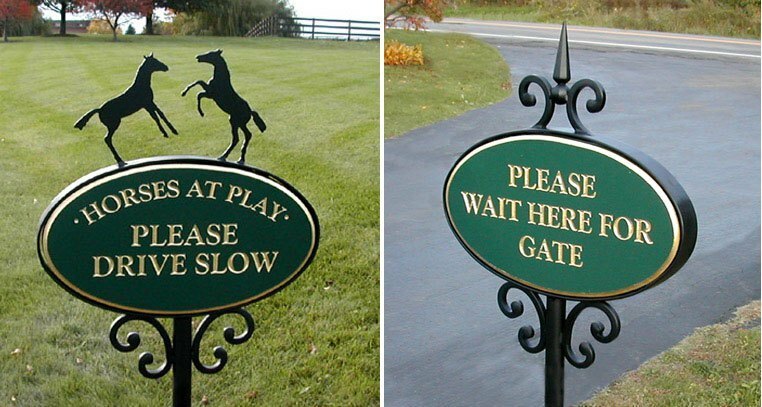 Our client in Mendon, New York asked for a driveway gate design with the theme of “horses at play.” The hand-drawn horses were cut from a steel plate and welded to the fabricated steel gate.